Gamification is the concept of using game design elements to provide fun and promote engagement. 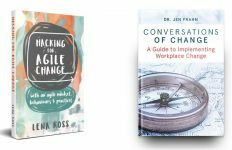 This is part 3 of a series of articles on ‘change hacks’ from expert change management speaker and facilitator Lena Ross. Candy Crush Saga has been in my life for around three years now. We have a love-hate relationship, regular break-ups, but in the end, I’m the one who goes back. I go back because I’m hooked and immersed. I get lost in that period of time they call ‘flow’ when I can’t believe my five lives are already expired and I have to wait (or pay) for more. The reality is that I’ve been ‘gamified’. Gamification, simply put, is the concept of using game design elements to provide fun and promote engagement (aka addiction!) The psychology of what hooks us is fascinating. The studies carried out to date explore human motivation, rewards, dopamine hits in the brain, and even personality profiles of the gamers. Setting up a game-based approach in a non-game setting, such as the workplace, is not always easy. So, what happens when you want to apply some of the gamification principles to improve the productivity of your people, and you just don’t know where to start? Here are five lessons from one of the most popular game apps, Candy Crush Saga, we can apply in our workplace. The progress principle: Candy Crush players progress through levels which create new user experiences. In the workplace, this translates to the Progress Principle – a term coined by Teresa Amabile. This is when people can see their own progress, even with small wins, they experience positive emotions leading to improved motivation and engagement. Remember the surveys we complete that show the percentage complete as we move through the questions? Even mundane work activity for employees can become more meaningful when their progress is visible and regular. Element of surprise: Thanks to neuroscience, we now know that our brains like pleasant surprises. In fact, the brain has a preference for the unexpected pleasures over the expected ones. In the workplace, this can be as simple as providing a surprise morning tea for your team, or a small gift to say thank you. In the game, players receive a gift of extra lives or additional moves, and surprise boosters, often when not expected. Regular positive feedback: It’s not surprising that we like rewards. Like compliments, rewards activate the same region of the brain as cash, and is an effective way to encourage people to do better. Now, we know not all our employees are motivated by financial rewards. The power of a compliment or positive feedback is not to be underestimated. 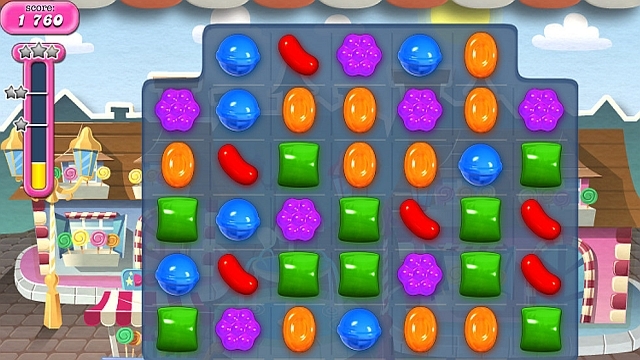 In Candy Crush, the player is frequently rewarded with visual and audio encouragement, even when the level is not passed. Autonomy: Neuroscience has taught us that having choices activates a reward response in the brain. When you remove options for your employees, or they feel they are being micromanaged, they often experience a threat response. Whilst there may be limitations on the degree of autonomy we can provide for your employees, we can create opportunities for some choice to reduce their stress. In Candy Crush, once your five lives have expired, you have the option to wait until your new lives are restored or you can skip the wait and pay for more lives. Other choices are available through the purchase of non-mandatory game boosters to progress more quickly. Social learning and community: Online communities and social media, such as Facebook, are appealing because they engender social acceptance and participation. In Candy Crush, you can learn about tips on how to progress through levels from other players, or simply interact with other players through a number of online communities dedicated to this game. There is no hierarchy and any player has a voice and can share their game wisdom. In the workplace, this would translate to a forum such as an Enterprise Social Network, e.g. Yammer, along with a culture that encourages employees to work out loud, where their work is visible in a way that may help others and establish new networks across traditional organisational silos. Our brains love these principles in Candy Crush, and as a result it captures our hearts and minds. Whilst there is a science behind it, it’s not ‘rocket science’. There are some simple things we can do in the workplace to ignite engagement so our people can enjoy their ‘candy crush’ moments in response to their work. Next edition: Change hack 4: Helping people move up the social media adoption curve. 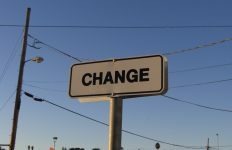 Article source: Change hack 3: Hacking employee engagement with five lessons from Candy Crush Saga. Header image source: Candy Crush by Alper Çuğun is licensed by CC BY 2.0.